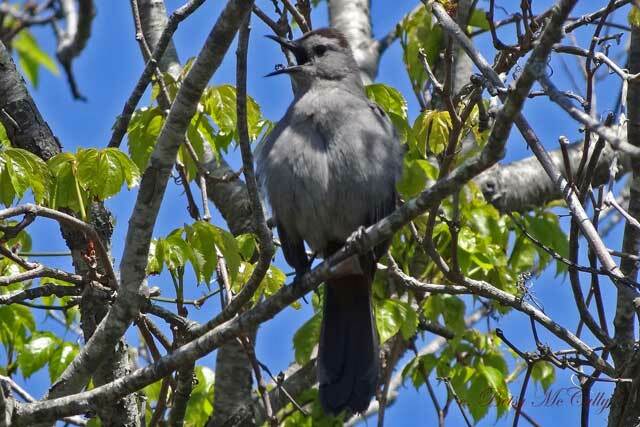 Gray Catbird (Dumetella carolinensis). Open woodlands. Breeder. May breed in wooded backyard.